Mischief impressed the judges with its original and enlightened policies, derived from the agency culture spearheaded by charismatic and creative chief Frankie Cory. The agency also won the inaugural Culture award. 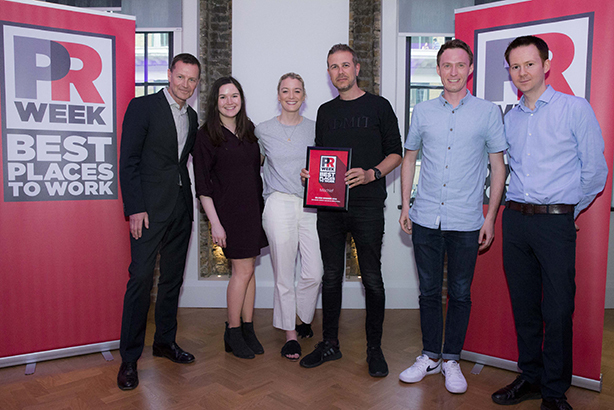 Mischief impressed the judges with its original and enlightened policies, derived from the agency culture spearheaded by charismatic and creative chief executive Frankie Cory. The agency also won the inaugural Culture award. Mischief puts a novel spin on the concept of work/life balance by focusing on employees’ ‘work/life blend’. Equal importance is placed on life goals and work goals under the Soul + Self scheme, launched last year, which also assesses abilities in shared, owned, unpaid and ‘loaned’ media. As a simple measure to reduce the pressure to feel ‘always on’, Mischief operates a ‘no emails’ rule between 7pm and 7am, which clients are informed about. Employees take part in monthly training programmes, and it is not just about junior and mid-ranking staff; this year extra training was introduced to the leadership team. Another of Mischief’s innovative schemes is ‘mum-toring’, a return-to-work scheme that sees employees who are mothers offer colleagues the benefit of their experience.